Defending series champion Ricky Stenhouse Jr. won Friday night’s O’Reilly 300 NASCAR Nationwide Series race at Texas Motor Speedway. The victory was the second of the year for Stenhouse and his Roush Fenway Racing team as they also won at Las Vegas this season. 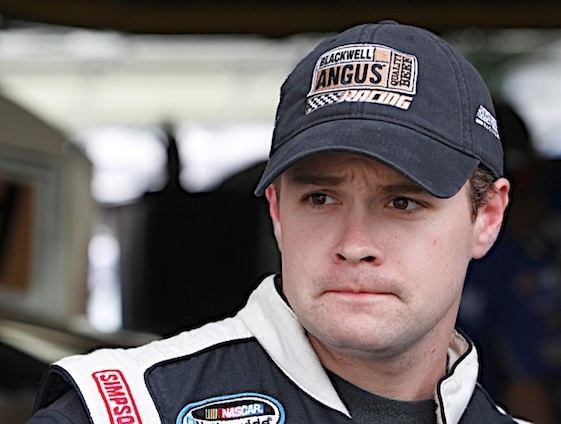 It was the fourth victory of Stenhouse’s 79-race career. It was also the fourth straight Nationwide win at Texas for Roush Fenway Racing. Stenhouse led a large chunk of the first half of the race but surrendered it to Paul Menard of Richard Childress Racing. Austin Dillon took the lead from pole-sitter Menard when he stayed out on a caution with 38 laps to go. When the race went green with 28 laps to go, Dillon jumped to a 10-car lead but four laps later, Stenhouse caught and passed Dillon and his worn-tire-shod Chevrolet. A caution came out with 14 laps to go when the engine of Kurt Busch’s Toyota blew. Stenhouse restarted with six laps to go from the P1. Next to him on the outside was Menard. Menard faltered on the restart and Stenhouse kept the lead. Denny Hamlin made a charge at Stenhouse afte the restart but Stenhouse pulled away over the final laps to get the victory. Menard finished second, Kasey Kahne was third. Hamlin fell back to fourth. Dillon finished fifth. Rounding out the top 10 were David Ragan, Justin Allgaier, Danica Patrick, Michael Annett and Steve Arpin. “It’s nice to have a good finish,” Patrick, whose finish was the best of the season, said.